While Nevada is mostly desert, there are plenty of ways for families and friends to get out on the water. Unfortunately, all too often a day of fun in the sun quickly turns into a nightmare when a boat is involved in an accident. A surprising number of boating accidents occur on the various lakes and waterways in Nevada. Although a minor boating accident might not cause a person much harm, a serious boating accident can significantly alter a victim’s life through serious injury or permanent disability. Some boating accidents are fatal. How Do Boating Accidents Happen in Nevada? The driver of the boat was intoxicated. The driver of the boat was operating the vessel in a negligent manner not in compliance with state boating regulations. The driver of the boat was speeding. The boat operator was inexperienced or inattentive. A fire or an explosion occurred on the boat. A mechanical failure occurred on the boat. Injuries from boating accidents run the gamut. You could suffer abrasions, cuts, burns, broken limbs, internal hemorrhaging or organ damage, neck, back or shoulder injuries, permanent disfigurement, or amputation in a boating accident. Not only could you be seriously injured in a boating accident, but you or someone you love could die. Boat insurance is hard to come by in Nevada. Premiums are extremely high and many boat owners simply go without. Normally, the boat owner’s insurance would help pay for any medical expenses associated with a boating accident, but when the boat owner does not have insurance or does not have enough insurance to cover your injuries, then you will have to seek recovery for your damages from the personal assets of a boat owner/boat operator, which rarely yields just dividends. An experienced Nevada boating accident lawyer can help you get the financial compensation that you need after you have been injured in a boating accident. You should try to recover from all liable parties, which can include the boat owner’s insurance company, the boat owner, and/or the boat operator at the time of the accident. If your injuries are the result of an accident involving a defective or improperly repaired or maintained piece of equipment on the boat, then other third parties might also be liable to you for your injuries. As the spring starts to change into summer, there will be an increase in the number of boating accidents that will occur. If you have been hurt in a boating accident in Nevada, you need to get in touch with an experienced boat accident lawyer. Please feel free to give our office a call. 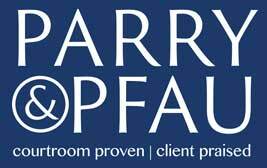 The Parry & Pfau team is happy to schedule a free initial consultation with you. Newer PostHow Do I Know if I Have Whiplash After a Car Accident? Older PostIs it Legal to Marry Your Cousin in Nevada?